For the last 13 years, the JOY Breakfast has been in a season of planting and growing. We've hosted 16 JOY Breakfasts over that time span. We're thankful for the hundreds of women who've attended and/or served with their time, talent, and treasure. We've seen heaven's favor and blessing as many of us women have been drawn toward a deeper and more meaningful walk with God through Christ. For all that, we are very thankful. 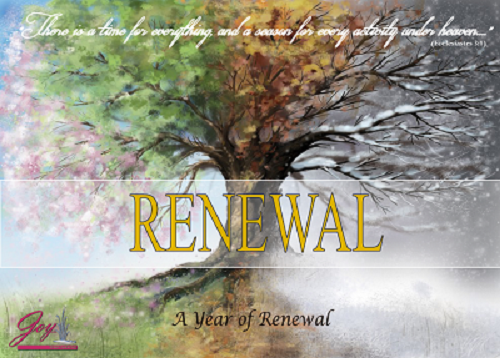 JOY's leadership team realizes we're entering a season of change and renewal. It's time to step back and discern God's will for the future of JOY, to renew and recast the vision, to recruit, train and equip new leaders, and to secure our financial base. In view of these factors, we are announcing there will not be a Spring 2019 JOY Breakfast. Yes, we are as disappointed as you are. But this is necessary so that JOY can move forward in new and effective ways. Let's all look forward with excitement to next year's JOY Breakfast on March 14, 2020, with speaker Carla Robinson. In the meantime, our Java JOY gatherings will continue monthly. Why not join us on March 7, April 4, and/or May 2, 6:30 p.m. at Boneshaker Coffee Co. to see what is drawing so many women together... even on chilly Dakota evenings! The JOY Breakfast is a setting for women to explore what it means to know Jesus Christ and experience Christian discipleship. Featured speakers address relevant themes, drawing on personal experiences. These engaging programs are designed to answer questions regarding life and faith and to inspire women along their spiritual journeys. The JOY Breakfast ties into into JOY's mission to help women take one step closer to Christ...and one step closer to true joy. Read more of the background on the JOY Breakfast, as shared by JOY International Founder, Fran Dwelle, in JOY Breakfast: The Founder's View. And take a look at past JOY Breakfasts through the eyes of two attendees in Ten Reasons to Not Miss the JOY Breakfast and Five Reasons to Invite a Friend to the JOY Breakfast. We are an interdenominational cooperative endeavor designed to assist women in their quest for a meaningful life, a practical faith, and a vibrant relationship with God. Since 2006 we have reached out to the women in our community in six main ways: JOY Breakfasts, monthly Java JOY events, small group Bible studies, prayer gatherings, equipping workshops, and practical helps.